Cut and Paste Jan 2015. Kids have to cut out the verbs and glue them under the correct picture. 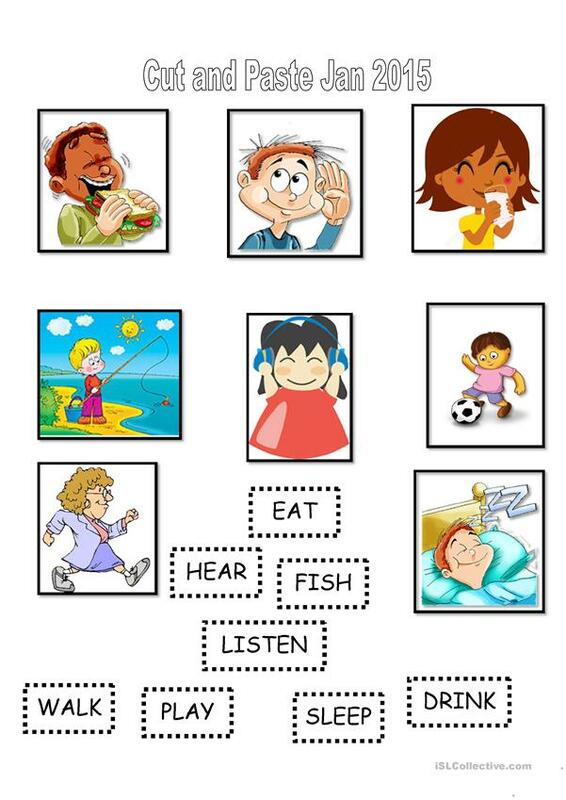 The present downloadable printable was created for kindergartners and nursery school students and students with special educational needs, learning difficulties, e.g. dyslexia at Beginner (pre-A1) level. It is a valuable material for strengthening your pupils' Spelling and Speaking skills.